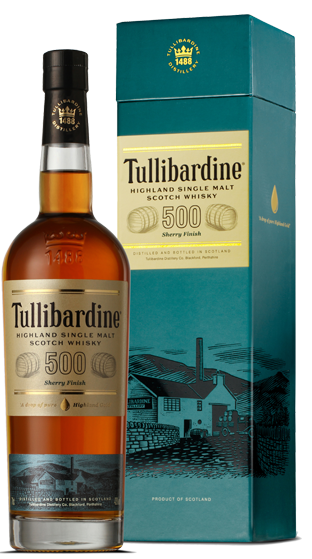 Tasting Note: Finished principally in Pedro Ximenez sweet Spanish sherry casks, Tullibardine 500 Sherry has a fragrant nose, with new leather, beeswax, apple and vanilla. The palate is smooth and sherried, with more leather, brittle toffee, orange peel, honey, and nutmeg. The fruity finish is notably spicy, with lingering wood characters.